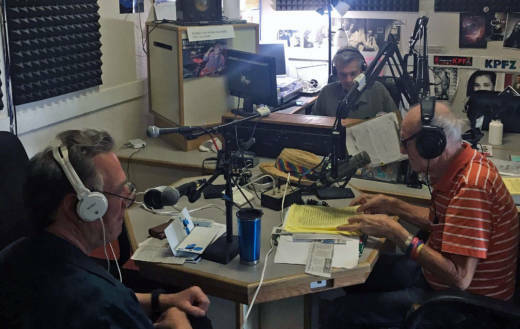 There's only one community radio station in Lake County: KPFZ. The station is run almost entirely by volunteers. Most of the hosts are retirees who have call-in shows dealing with local topics, like LGBT or senior issues. But in recent years, the station has taken on a whole new role in the community: reporting on fires. KQED's Sam Harnett visited the tiny station to learn how it became a lifeline for its community and how the fires have permanently changed the station and its mission.